Richys Fencing is a family owned trades business offering the best quality fencing repair, build and maintenance service in the Sydney metropolitan area. You can access a service that cares about doing the job properly, not just doing the job. We operate our professional team six days a week, business hours, with flexibility to move around your schedule. Our team does not cut corners, and will spend the necessary time erecting a fence that suits your requirements and your budget, or repairing an existing perimeter with the most efficient resources available. Are you located outside Auburn? No problem. We deliver to a huge variety of areas in the Sydney region,. If you’re not sure we cover you, simply check out our service location area which covers Auburn and beyond. With an emphasis on customer satisfaction, we only work on fencing when it suits you. That means we bend over backwards to accommodate your business schedule, and we are extremely professional, keeping to all schedules. We track all visits, and don’t do surprise drop ins. Nor do we linger after our allocated hours are up. To get an idea of how much we charge, all our quotes are done online so feel free to inquire. We have a great stock of experience using different materials to fix and build your Auburn fencing. Some of this material includes, but is not limited to, aluminium, colourbond, gates and timber. We look forward to hearing all about your fencing requirements, and if possible, taking on the job. 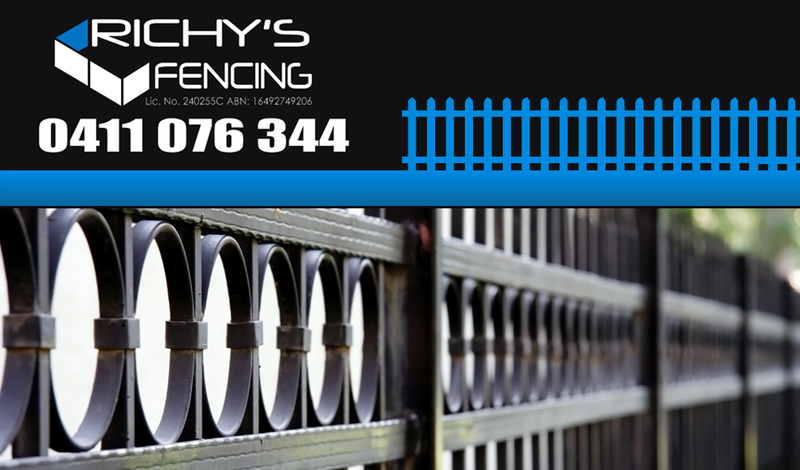 For a reliable fencing vendor in Auburn, just contact Richy’s today.